As a young child, I played "nurse" to my Raggedy Ann doll, giving her "stitches" that still hold today. You can even see the pink Mercurochrome! My wonderment with the way in which the human body works eventually led me to become a registered nurse, as well as an American Red Cross disaster volunteer. 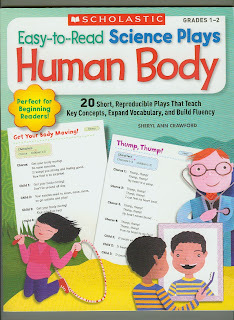 With Easy-to-Read Science Plays: The HUMAN BODY, I'm pleased to provide a fun and lively introduction for children to the way the amazing human body works---from how the brain sends and receives messages, to why we need blood and how it is pumped through the body. My book is published by Scholastic Teaching Resources and can be purchased on amazon.com These short plays require NO PROPS. That's right---no fuss, no muss! They're perfect for Readers Theater and designed for flexible grouping. Many are easily adaptable to include the whole-class! Fun and easy extension activities as well as amazing facts about the body are provided for each short play. Designed for beginning readers, this collection of 20 short reproducible play scripts features large, easy-to-read print, predictable language, and informative illustrations. The plays provide a lively and engaging way to introduce children to key concepts about their own body, while expanding vocabulary and building reading fluency. Topics include the brain, heart lungs, muscles, skeleton, five senses, the immune system, organs, teeth, nutrition, fitness, safety, and more! The easy-to-read text includes rhyme, repetition, songs, and predictable language to build reading confidence. Do your children love to sing? They'll learn by reading and even singing about what different parts of the body look like, what they are named, where they are located, and what they do. For example, "Livin' in Skin", a poem with a great beat, helps children learn about the versatility of the body's largest organ---how skin protects them and how they can protect their skin. 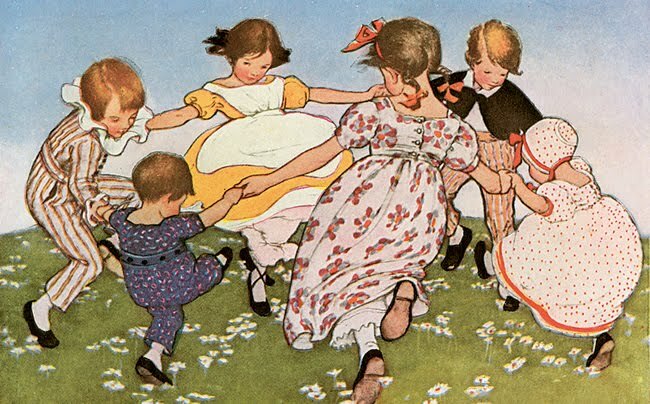 In "Everywhere a Move, Move" (sung to the tune of "Old MacDonald Had a Farm"), children learn how their muscles help them stretch, smile, and play. In "My Nose Knows," kids will giggle as they sing about their sense of smell to the song "B-I-N-G-O." Special emphasis on proper nutrition, exercise, and safety, helps children build a foundation for health, growth and development, and learn good habits they can carry with them throughout their lives." I think my book is perfect for homeschoolers, moms, dads, grandparents, and caregivers who want to have some FUN learning time with kids! Check it out and watch children get excited about their AMAZING body!